When it comes to inflation, one of the many things that worry us the most is petrol increases. This is because petrol is something that people just cannot do without since they need their vehicle like a car or bike in order to go places. While one certainly can’t do anything about the rising petrol prices, one can most definitely follow tips on how to save petrol in order to save some money every time one is at the gas station for refilling. 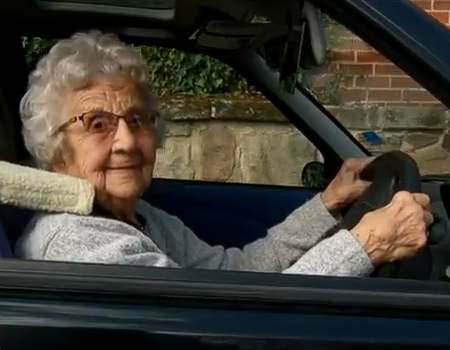 Tip #1: Drive like your Grandparents! The first and foremost tip in this regard would have to be to drive efficiently. This is a no-brainer but most people do not realize that the way they drive their vehicle affects the consumption of fuel. It is recommended to accelerate gradually and to move at an almost constant speed while trying to avoid hitting the brakes sharply or shifting gears all the time. The rule of thumb here is to try and maintain at least three thousand revolutions of the car wheels per minute. Also, if you need to keep your vehicle idle for an extended period of time, say at the traffic signal then it makes sense turn off your engine and then turn it on back again when you need to run the car. This way it saves more petrol than keeping the engine switched on and running for no reason. The second tip here would be to lose weight. While the task of losing the weight on one’s body is very difficult and challenging, the task of losing weight for your car is easy (thankfully!). It goes without saying that the heavier your car is, the more petrol it is going to consume for moving about. So, in order to lose some excess weight from your car the first and foremost thing that should be done is to inspect the boot of the car. Most people have the lousy habit of placing something in the boot and then forgetting about it. Therefore, if you have some heavy objects kept in your car’s boot then remove them. Cleaning out the car not only makes it easier to drive but it also helps in improving the vehicle’s gas mileage. For every hundred pounds taken off of the car, one can boost its fuel economy by 1-2%. Apart from cleaning out the car, the next thing that you can do to remove excess weight is to uninstall any extra’s such as a roof rack if you don’t need it. Getting a tuneup for your vehicle also helps it to achieve its fuel-saving goals. If fuel saving is what you are aiming at then you will be able to go a long way if you maintain the engine of your car regularly. An automobile needs to be serviced every now and then, therefore by going for regular car maintenance and tuneups one can improve the car’s fuel mileage by more than 4%! Apart from getting tuneups, it is also essential to have an oil change for one’s car on a regular basis. With time, your car can go out of tune or it may not be producing emissions in the right manner, therefore expert help and touchups are always required to fix things in this regard. If you have a maintenance problem, like a faulty oxygen sensor in your car and you fix it then you can improve your car’s mileage by upto 40%! The fourth most popular tip on how to save money on petrol is to check one’s car tyres from time to time in order to ensure that they are properly inflated. When the wheels of your car are underinflated, the car will tend to drag, thereby decreasing the car’s mileage by about 3% or over 3%. The pressure of your car’s tyres should be normal, which is around 30-35 psi or pounds per square inch. However, to be on the safe side, it is advisable to check out the owner’s manual of the car in order to find out the ideal pressure for the tires of the car and then the same should be maintained. Air should be added to the tyres and the pressure should be checked at least once a month. The catch here is to inflate to just the right amount, i.e. neither under inflating it nor overinflating it as both can reduce the gas mileage. Tip #5: Buy a new one! One of the top tips when it comes to saving petrol is to invest in a more fuel-efficient vehicle. While this may be a huge step that one is taking and it may require a significant amount of initial investment, it is worthwhile in the long run because it helps in saving money on petrol. It could be high time that you ditch your old clunker and get a vehicle that is more modern and fuel-efficient. Modern cars are also constructed from lightweight materials which make them more lightweight and hence contributing to fuel efficiency and their engines are also more fuel-efficient. Getting a better car is definitely a good thing to do but before taking this step ensure that you conduct adequate research in order to find out which cars are most fuel-efficient in South Africa. By following the above given tips one will be able to cut down on expenses related to petrol for one’s vehicle. It is these little things that add up with time and brings about a significant change in the consumption of fuel by your car. Learn to keep these tips and tricks in mind and you will reduce your problem with the constantly rising fuel expenses pertaining to your car!